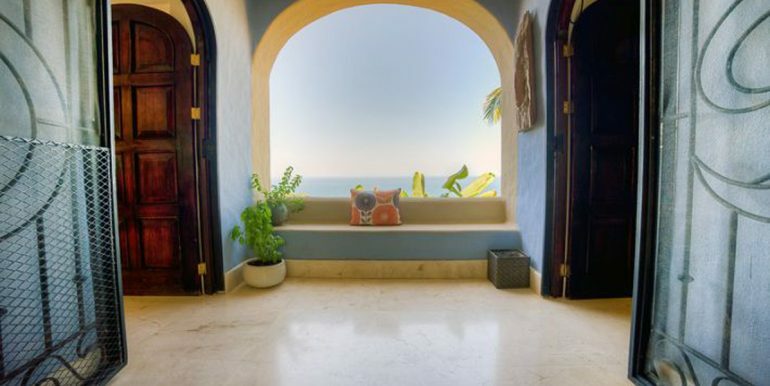 Serenity is a state of mind. 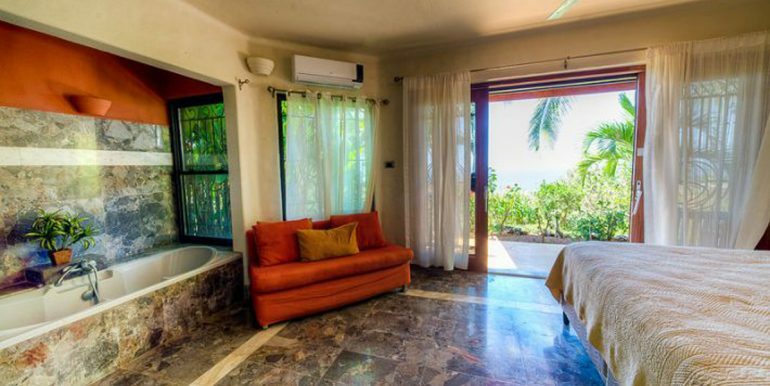 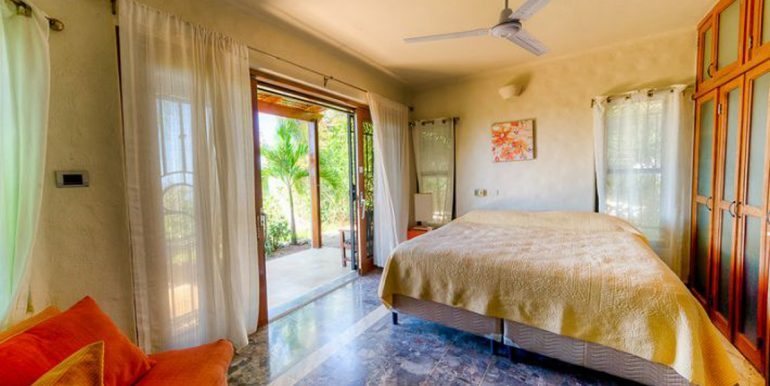 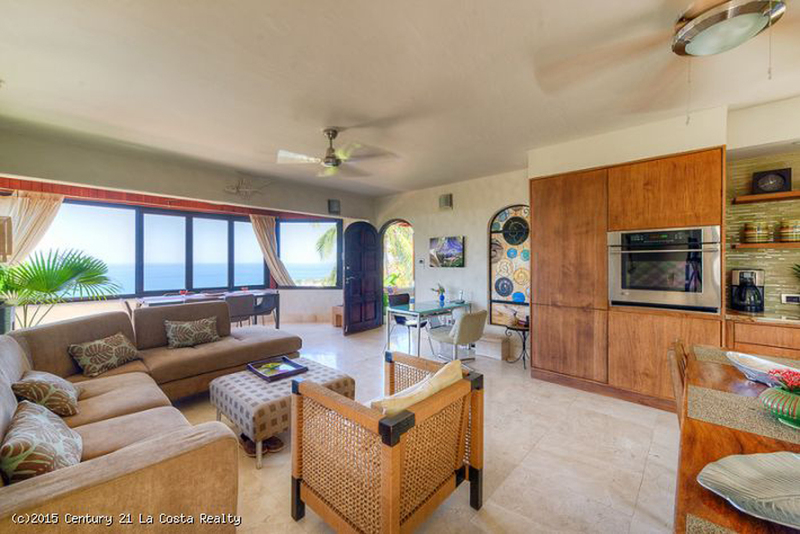 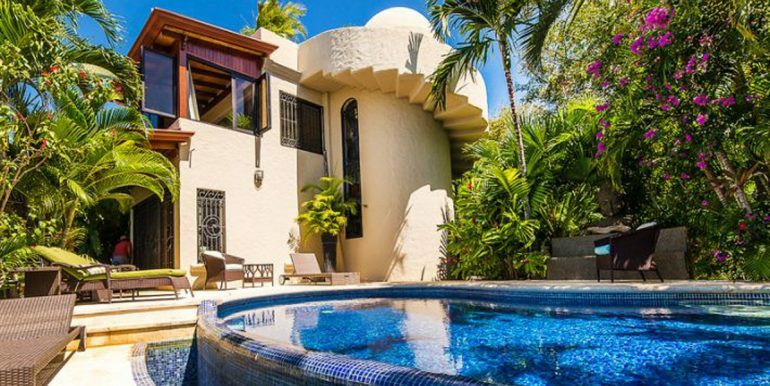 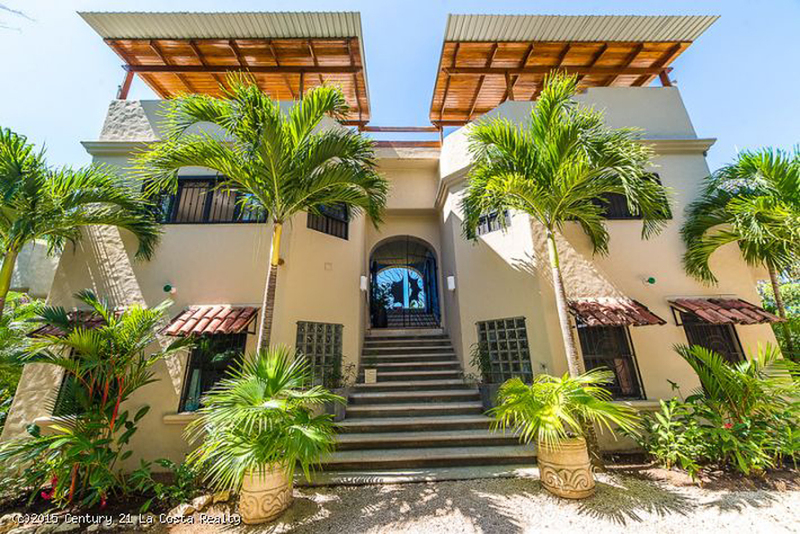 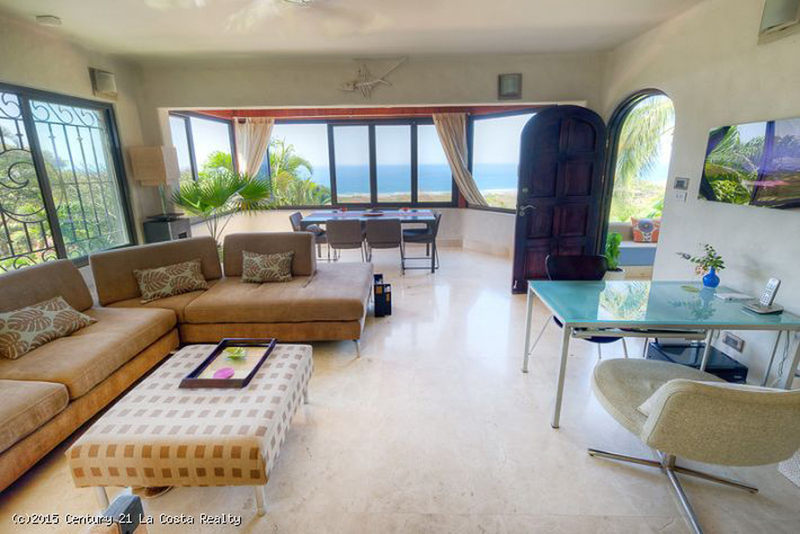 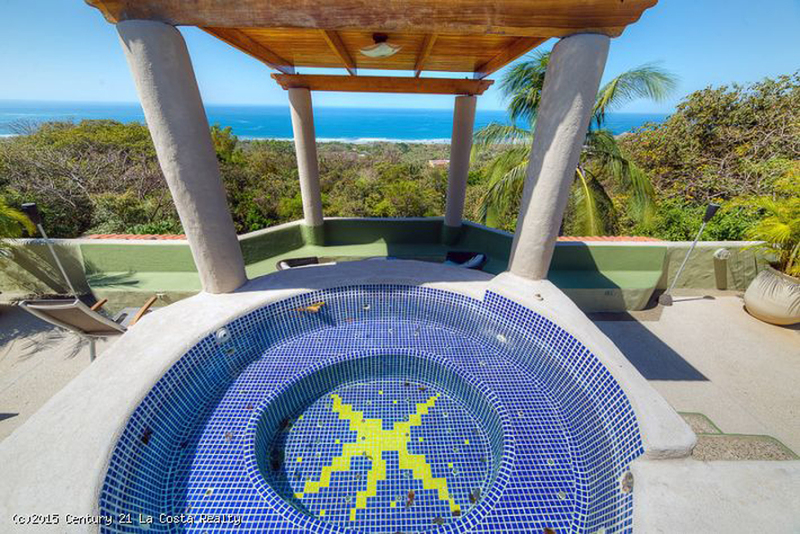 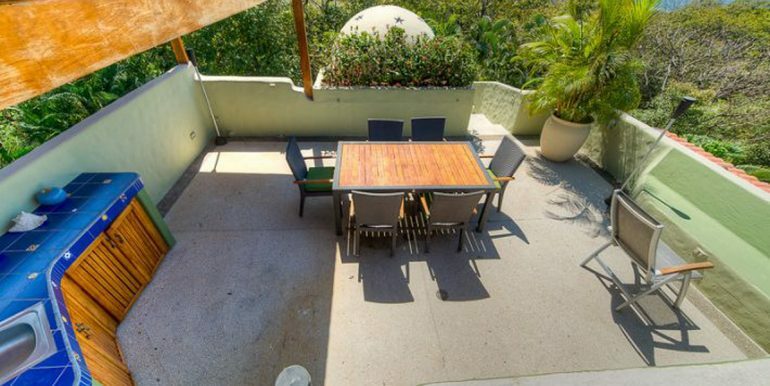 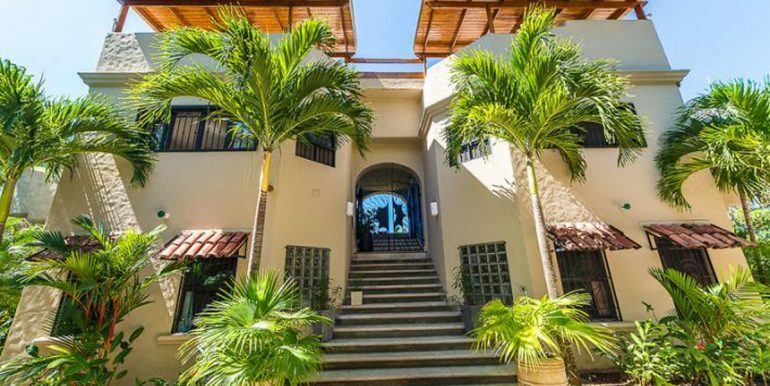 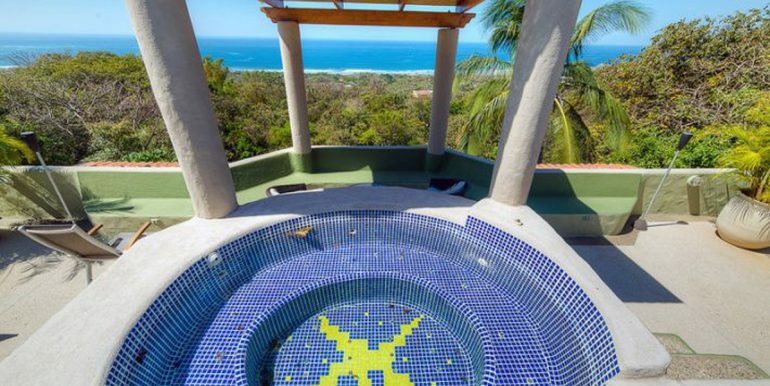 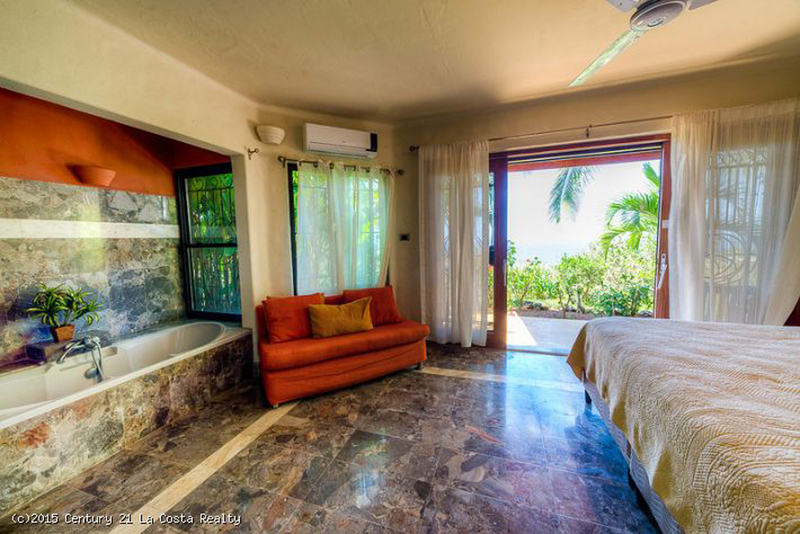 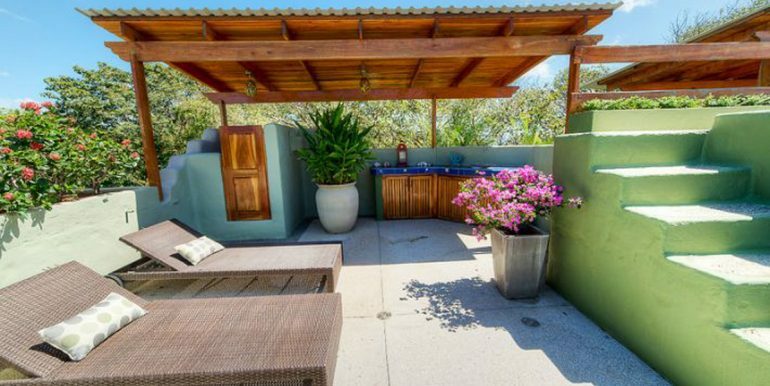 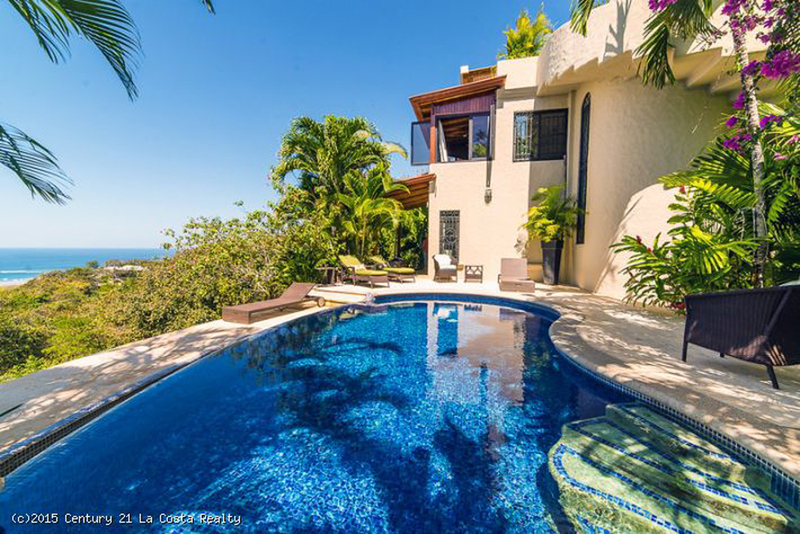 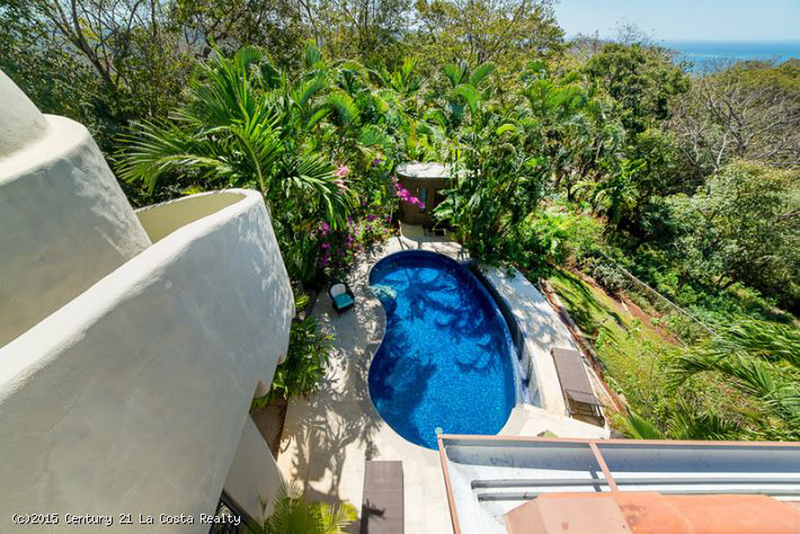 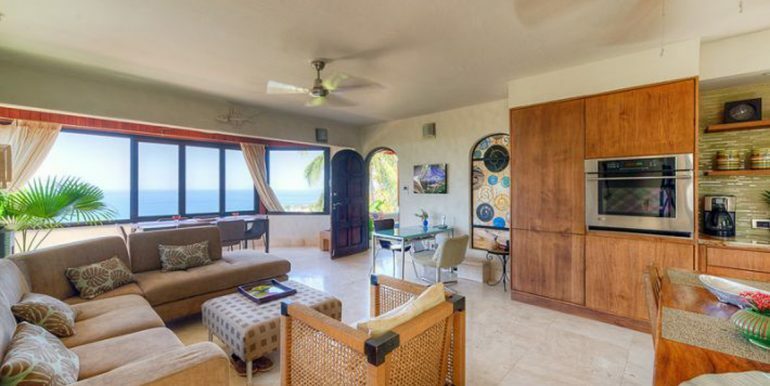 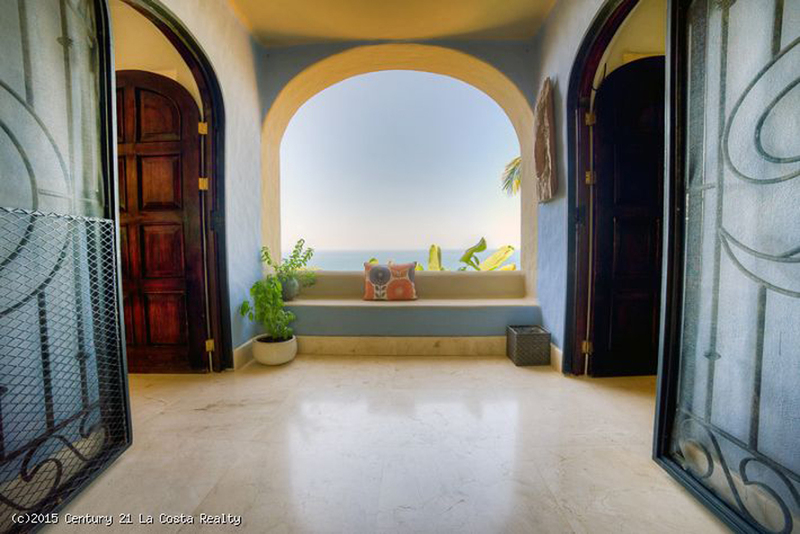 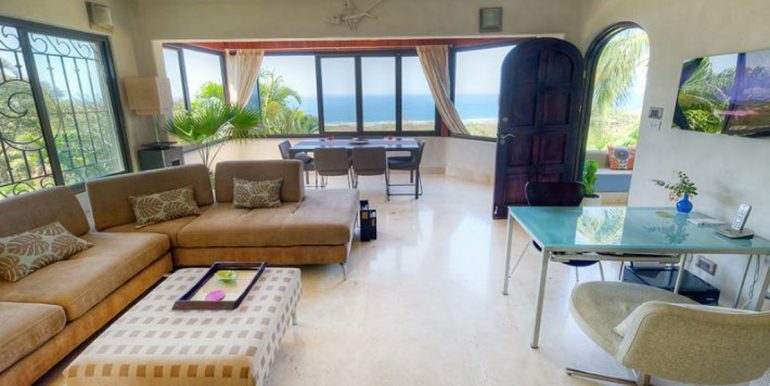 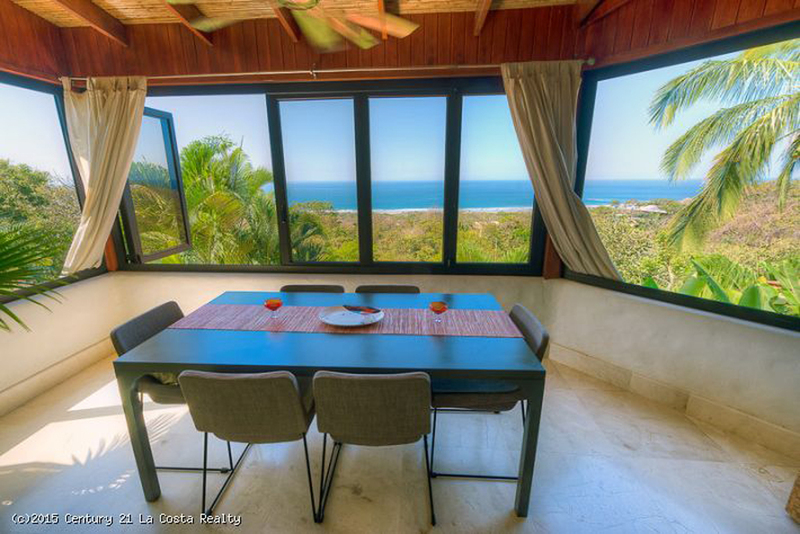 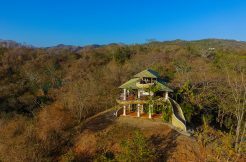 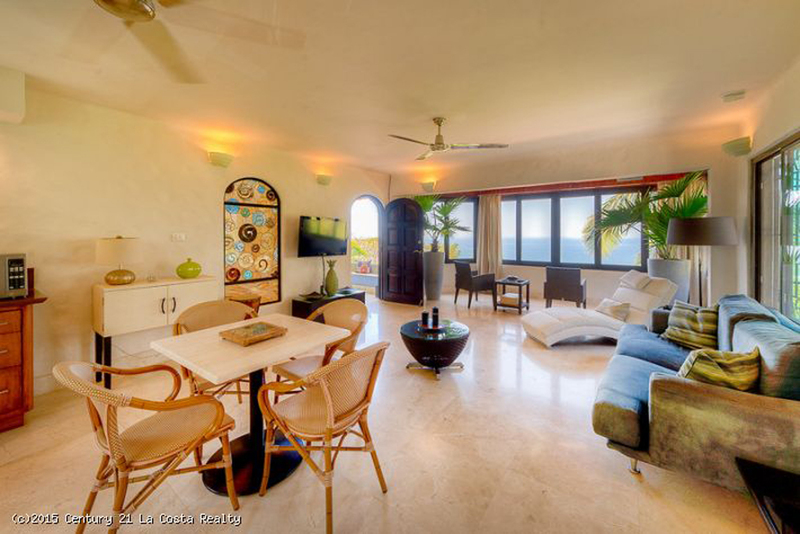 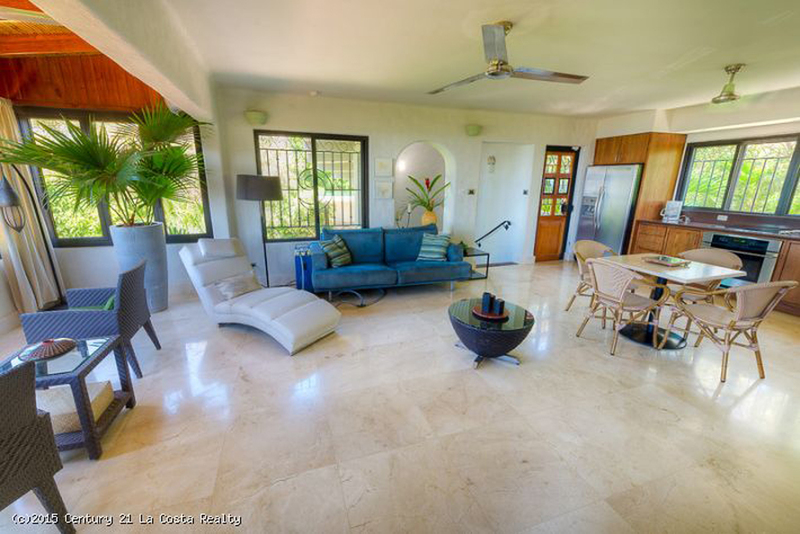 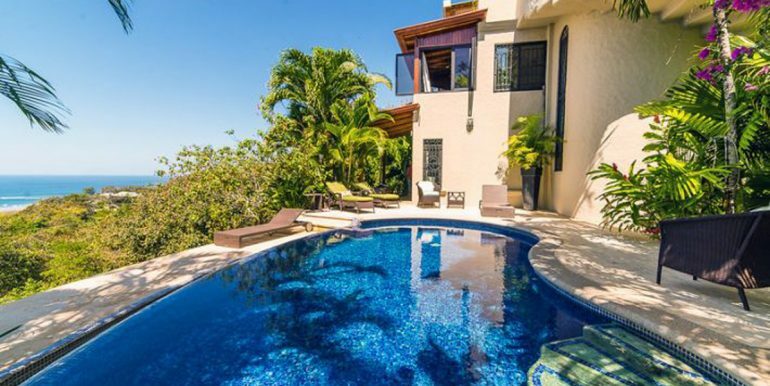 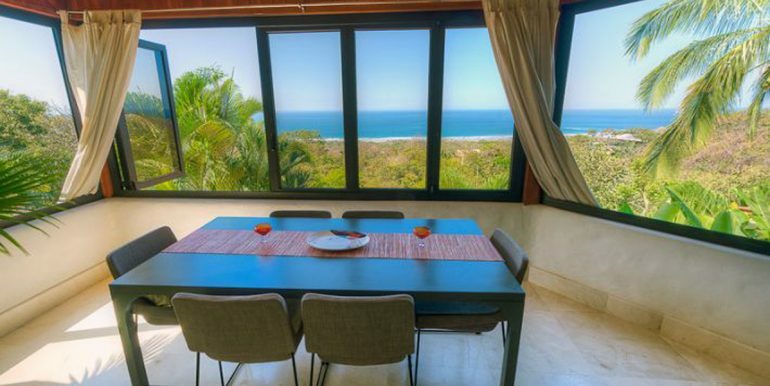 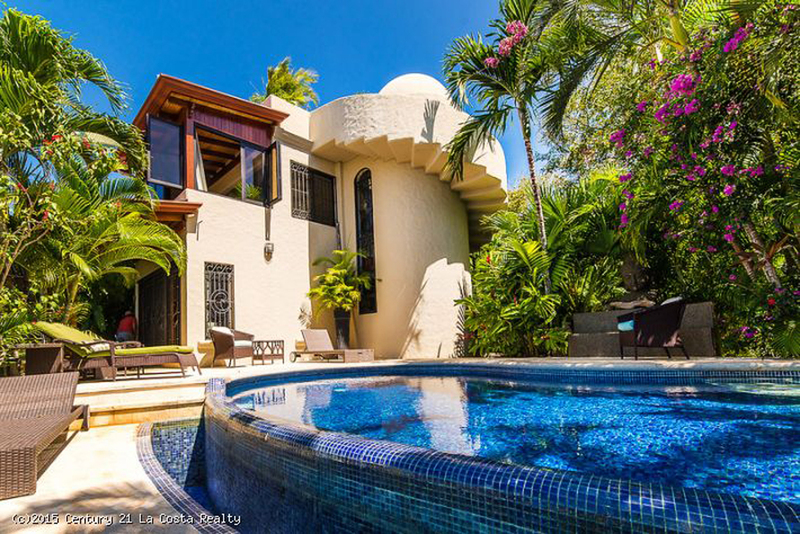 A state of mind much easily found in a home like Villa Clara Vista with majestic views, surrounded by nature and the cooling breezes of the Pacific Ocean. 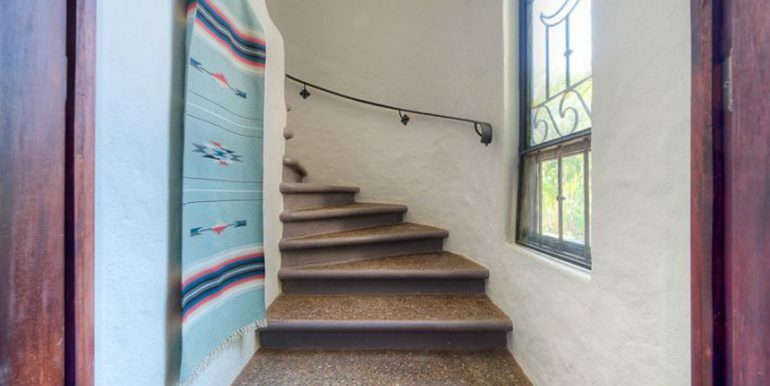 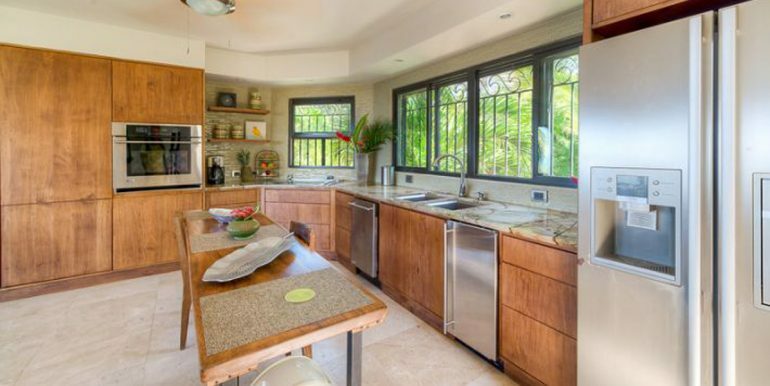 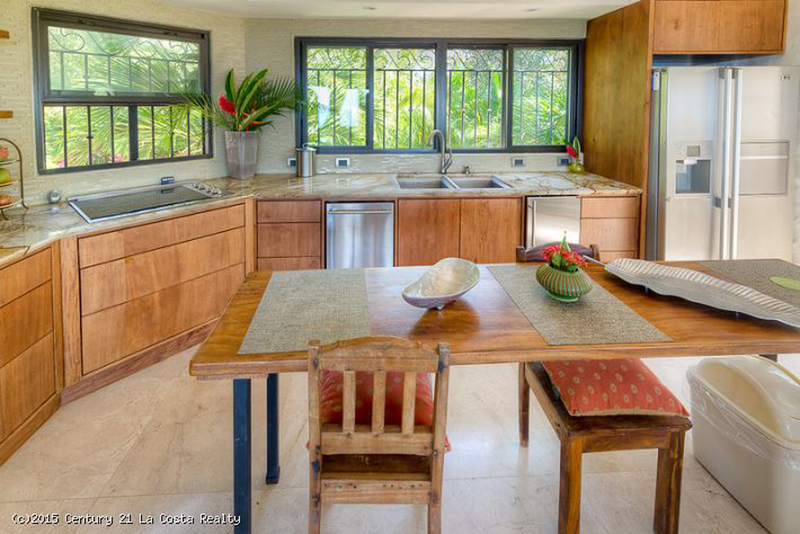 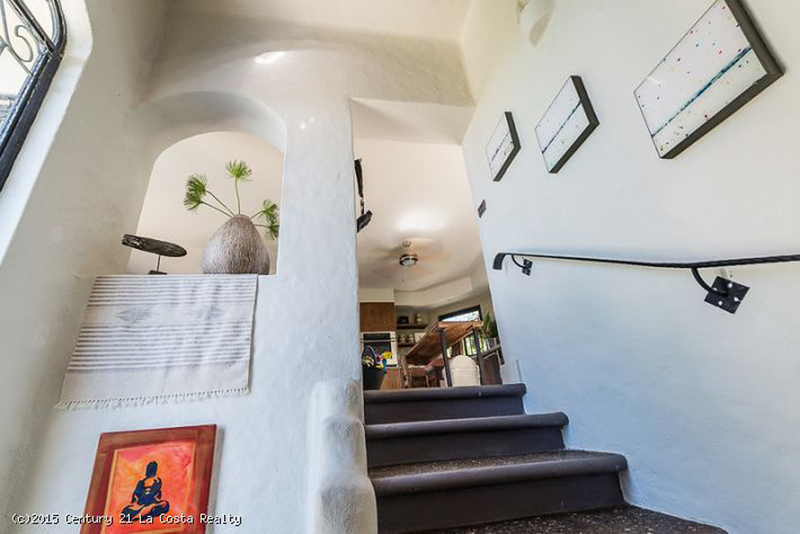 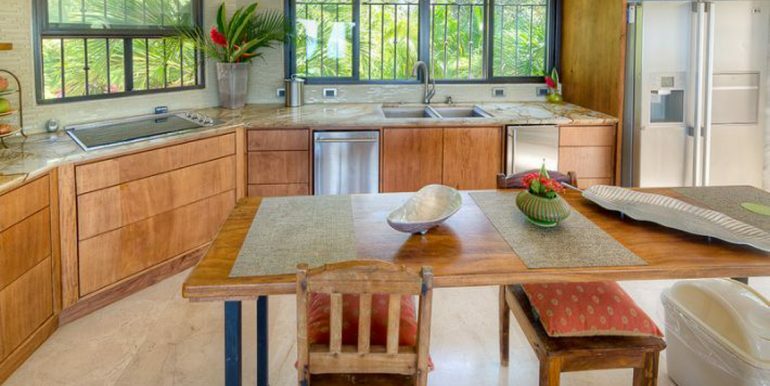 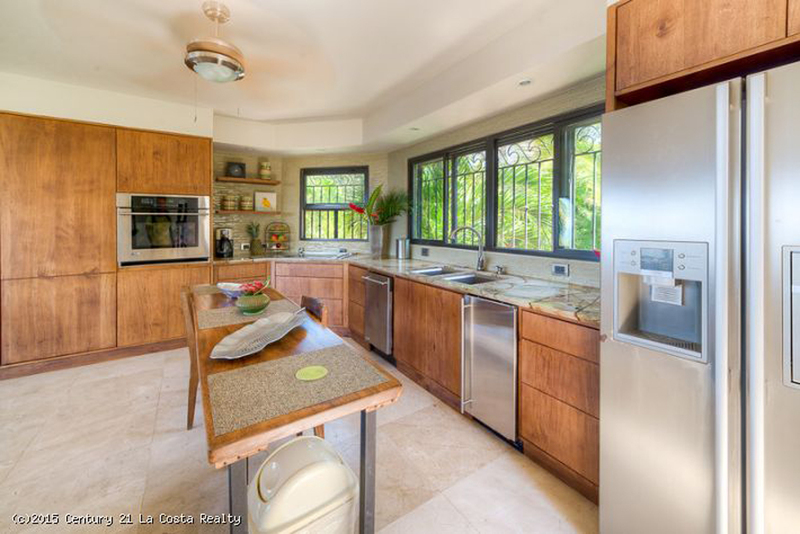 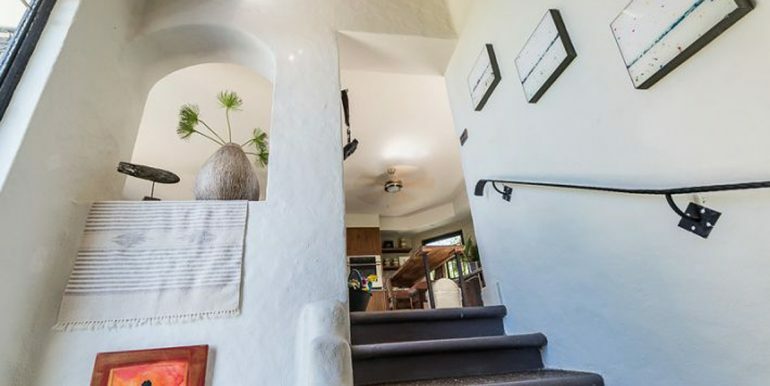 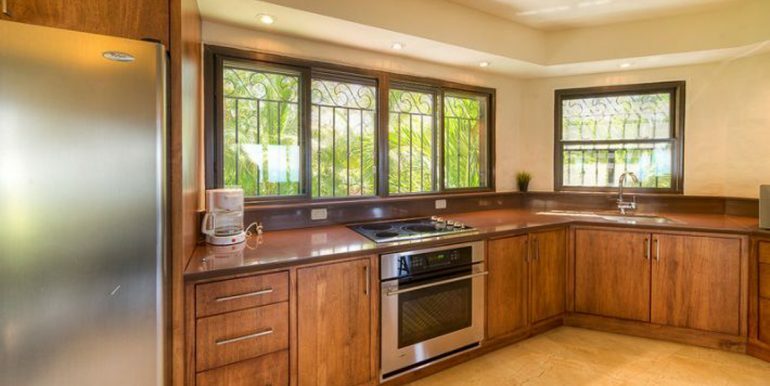 This unique home comes with two large kitchens, both recently remodeled with marble floors, granite countertops and stainless steel appliances. 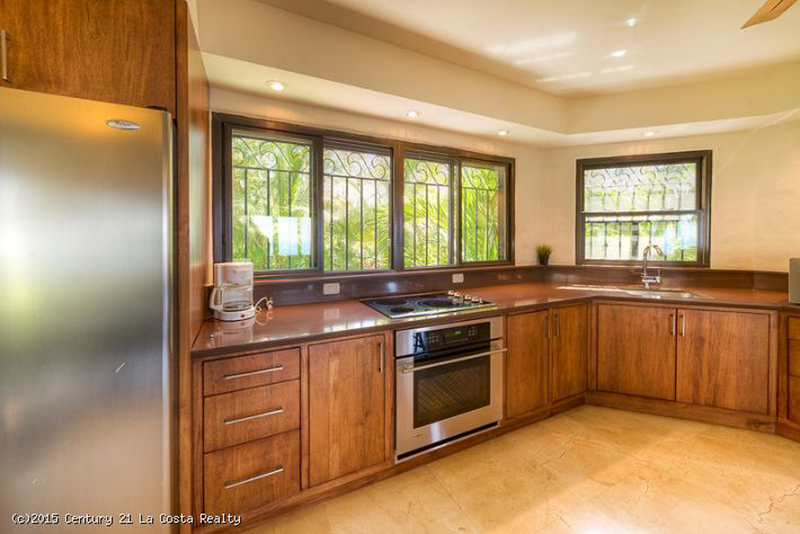 Each side of the house has its own kitchen, a master suite and second bedroom making it perfect for a large family or families and potentially a great rental home. 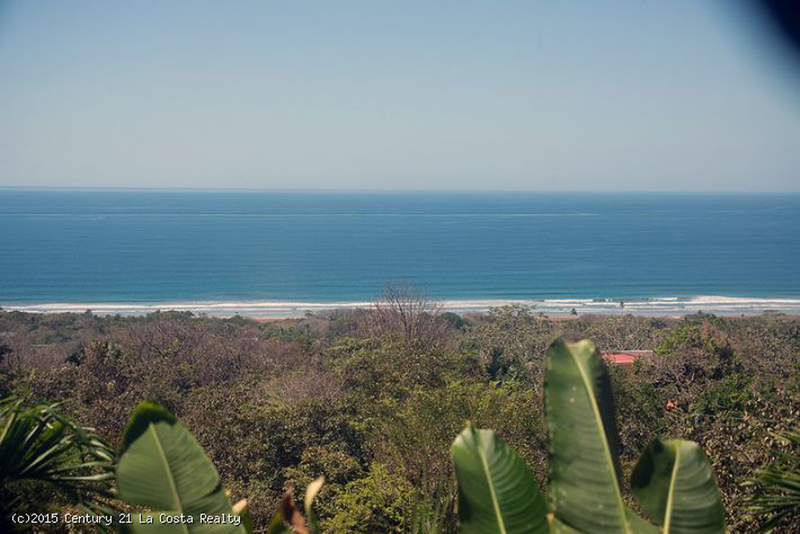 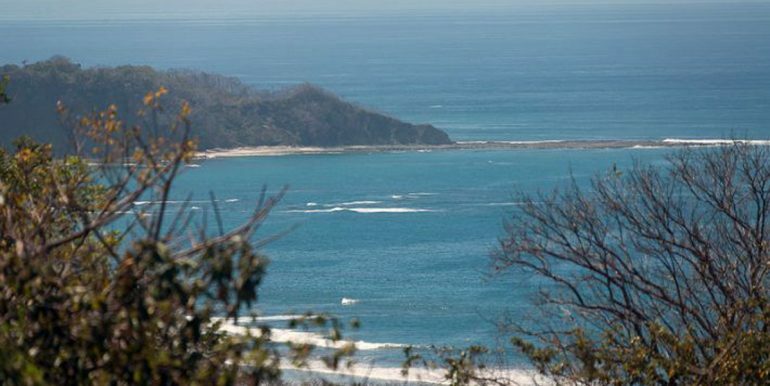 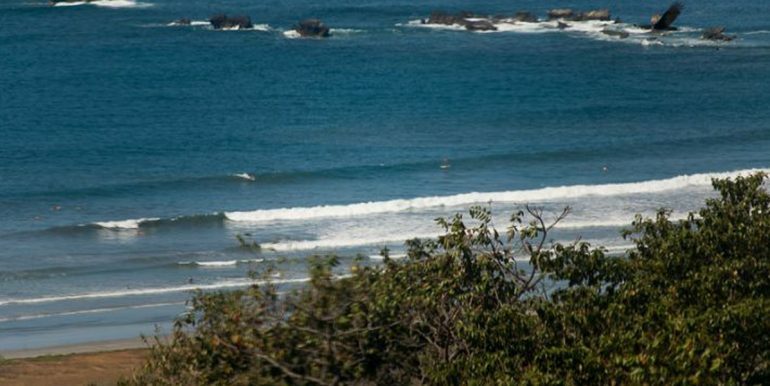 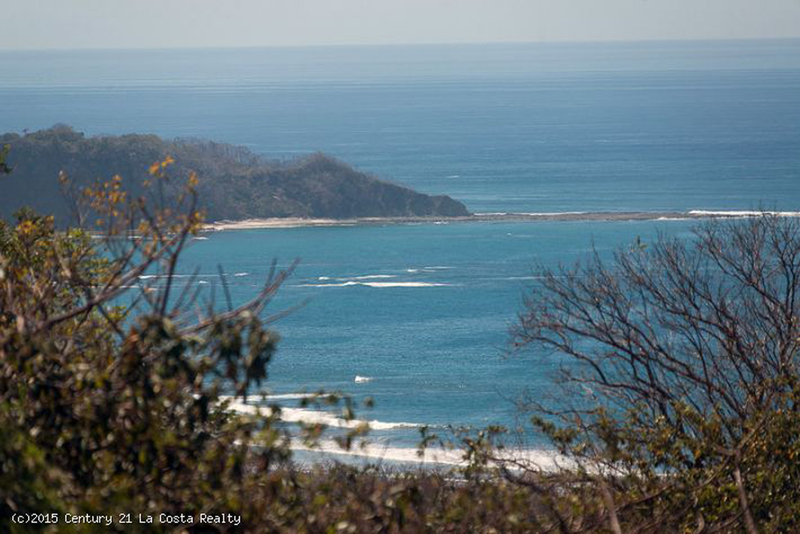 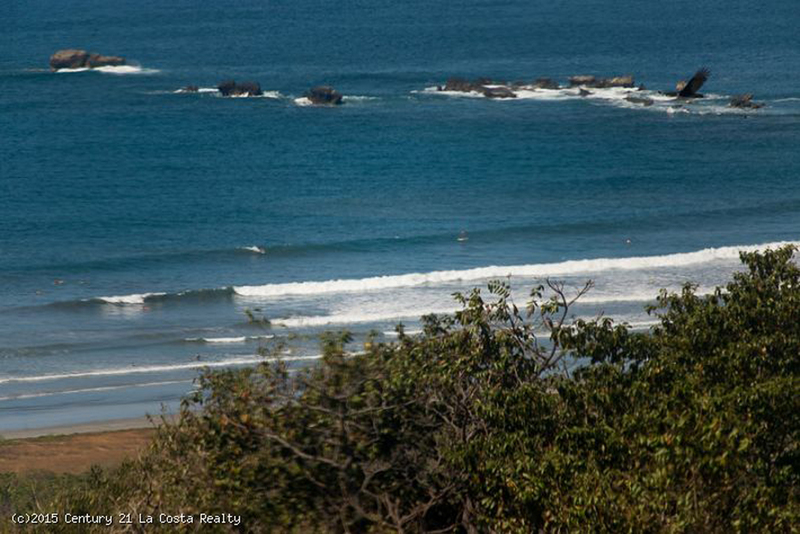 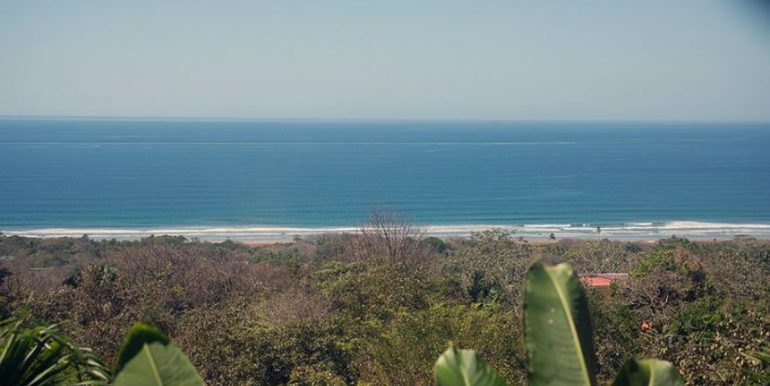 The views are from ‘point to point ‘of Playa Guiones where you can see the surfers and beachcombers and year round sunsets! 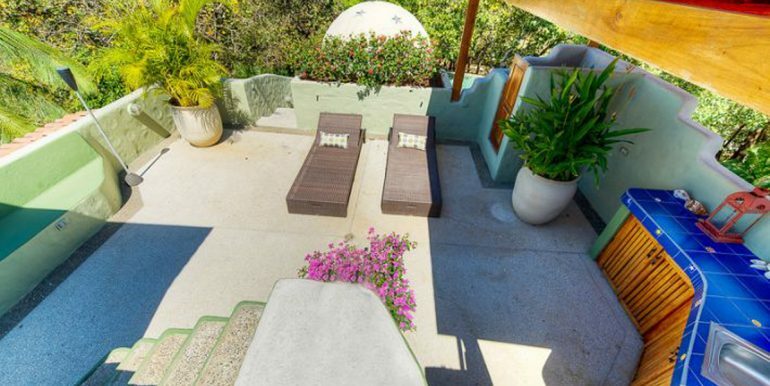 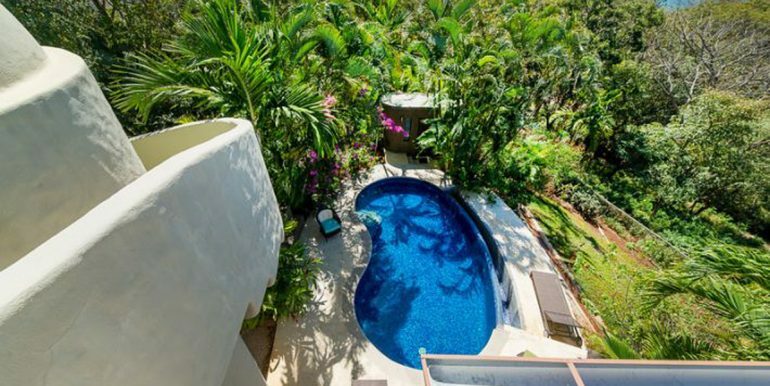 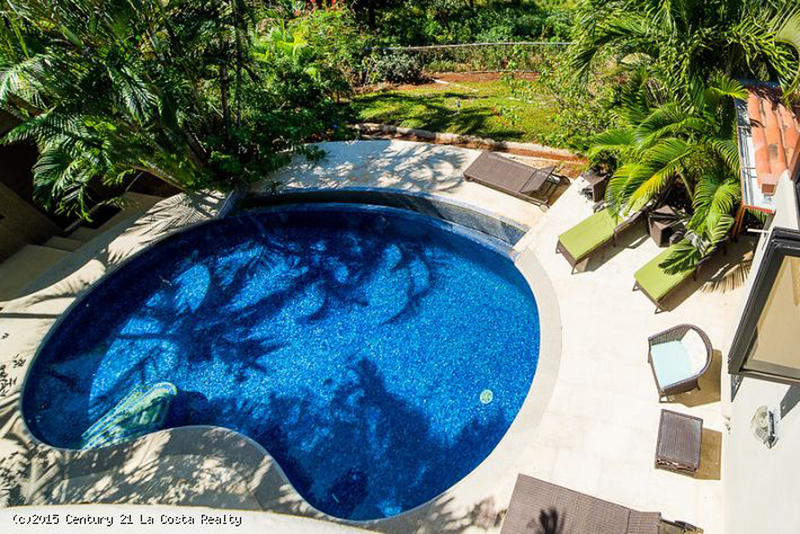 The pool area is perfect for lounging and taking in the views, but you’ll have to decide between the pool area and roof deck that has a dining and lounging area and a Jacuzzi. 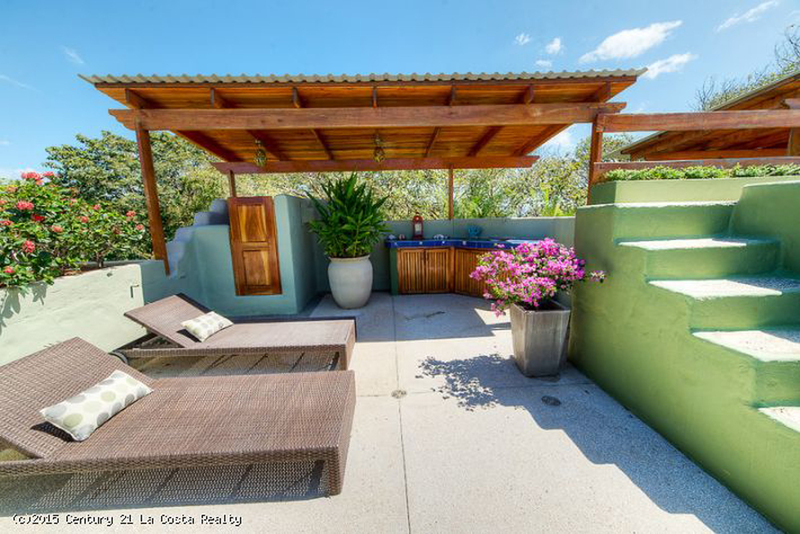 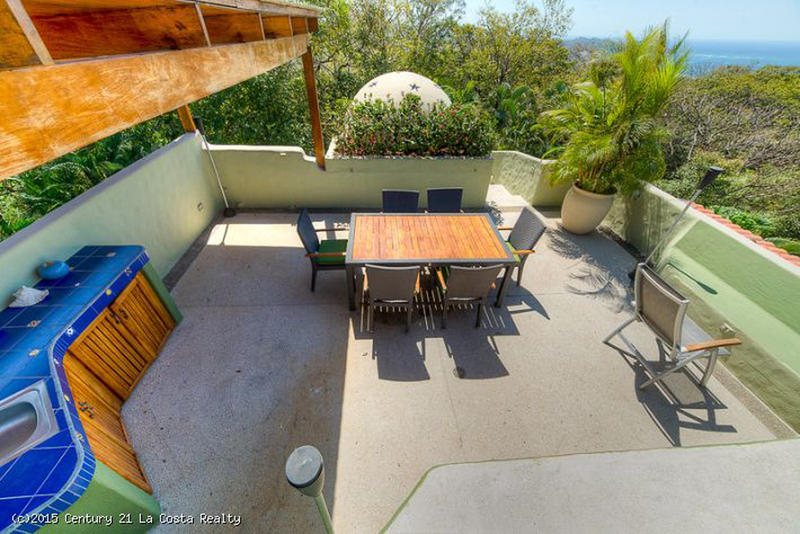 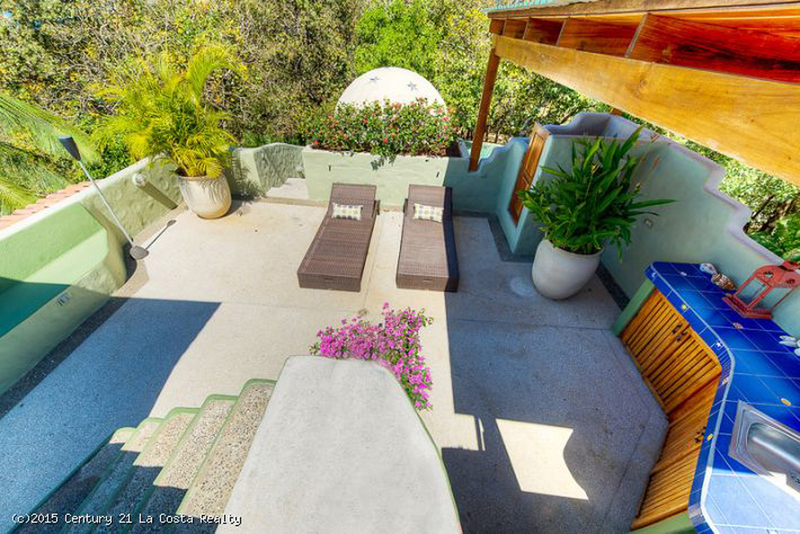 The roof has endless views and also the perfect place to practice your yoga or stargaze at night. 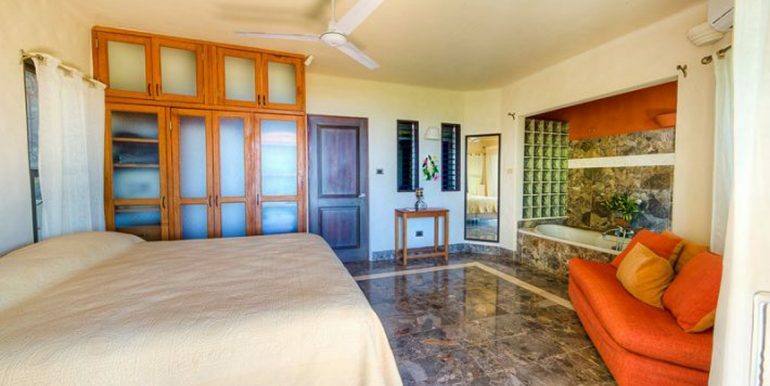 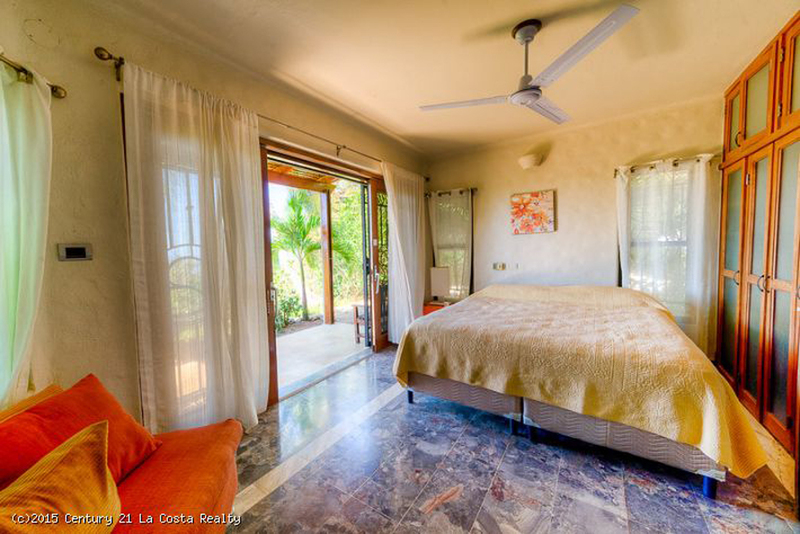 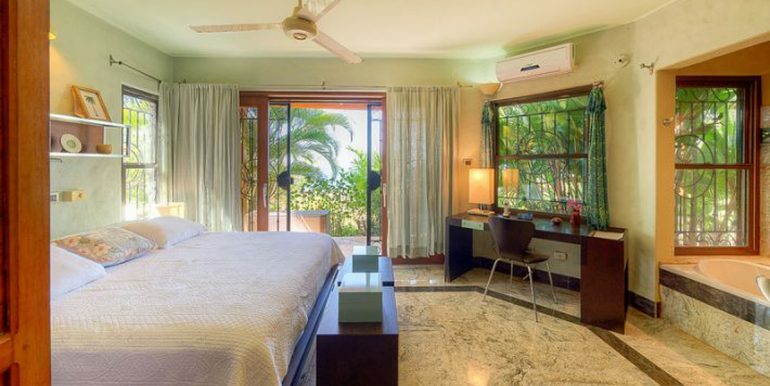 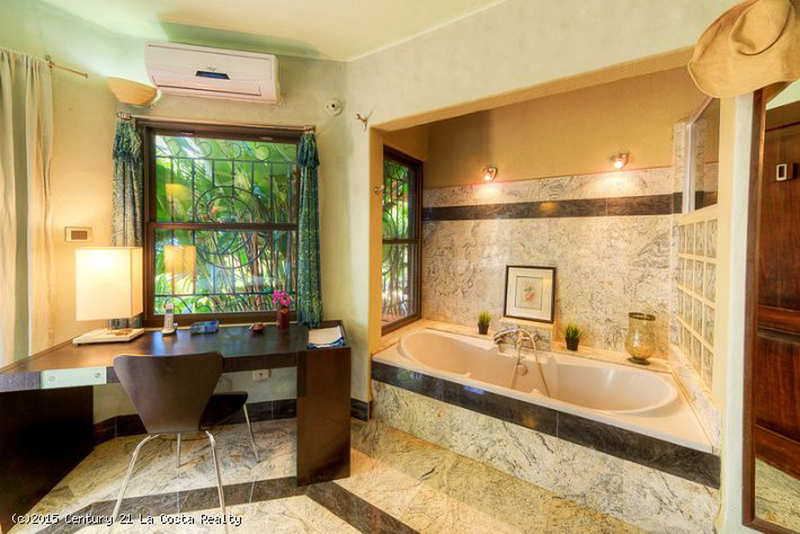 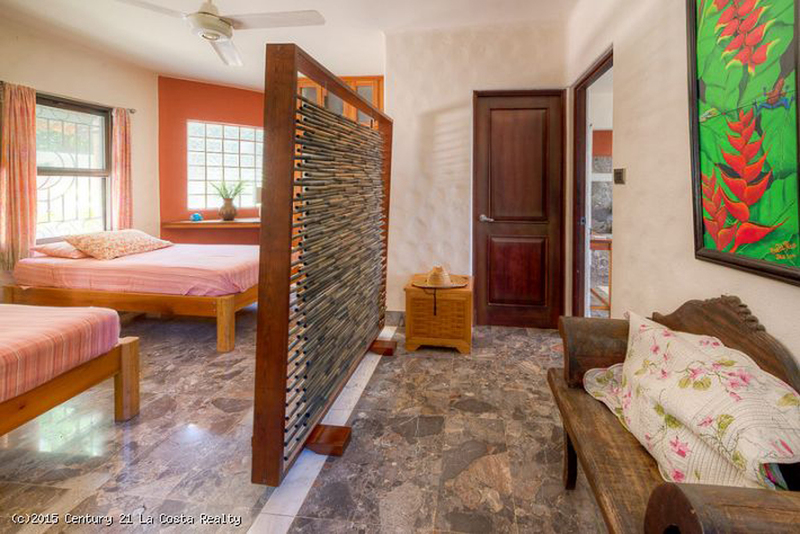 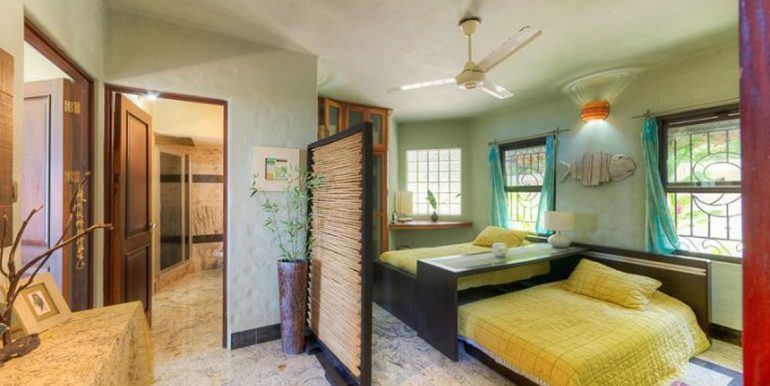 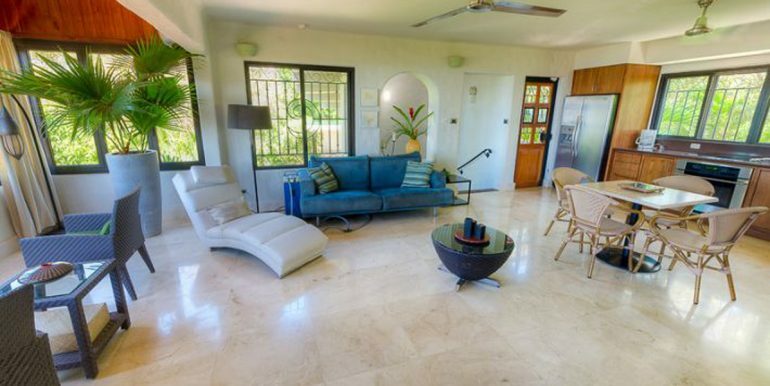 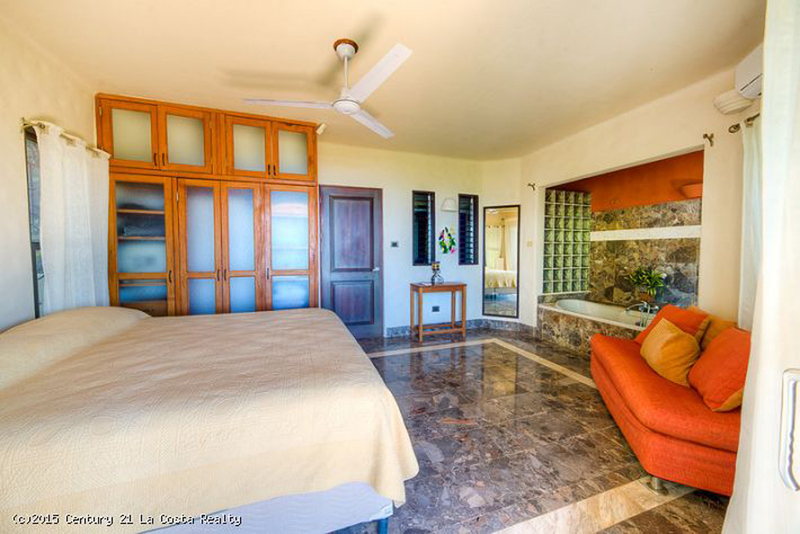 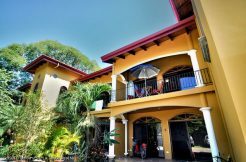 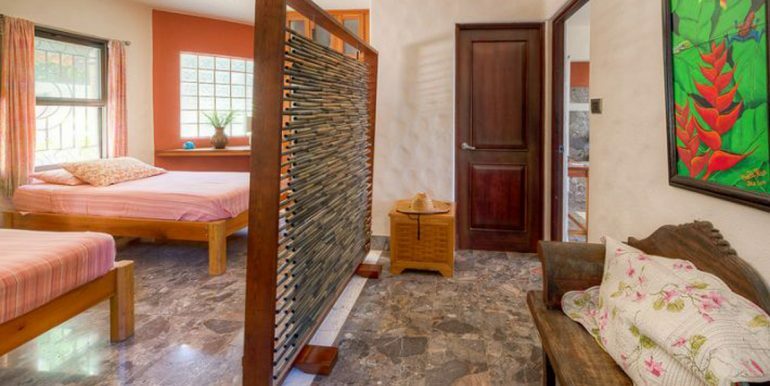 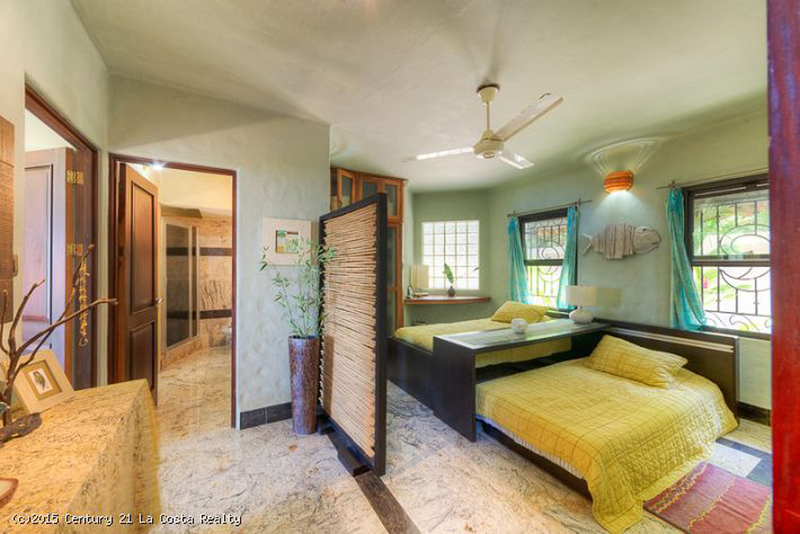 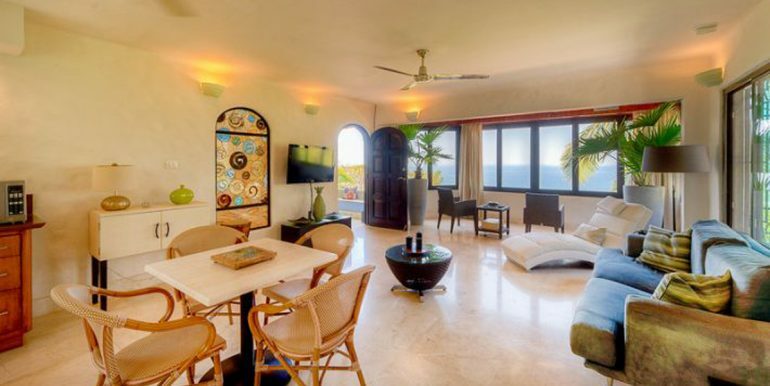 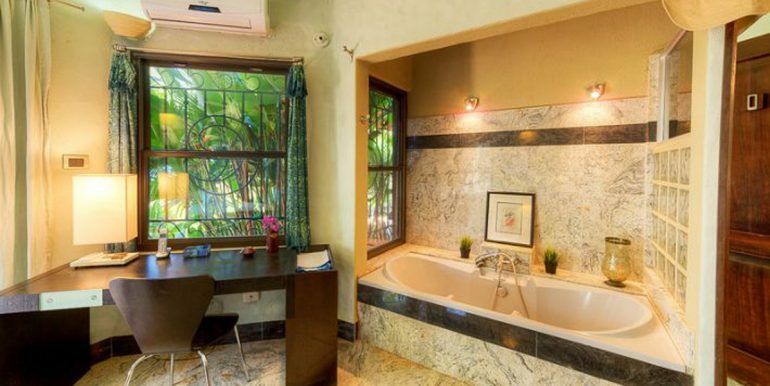 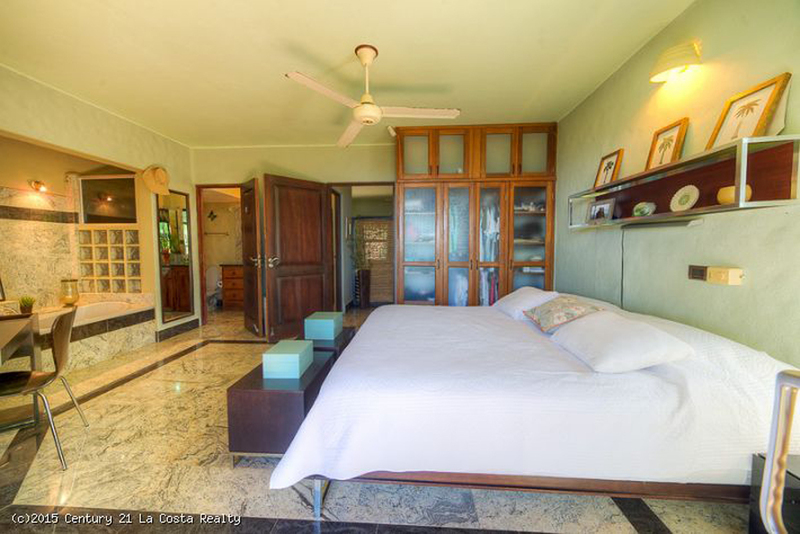 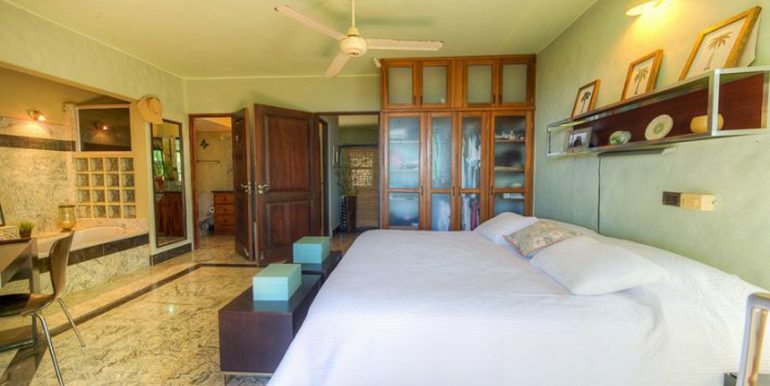 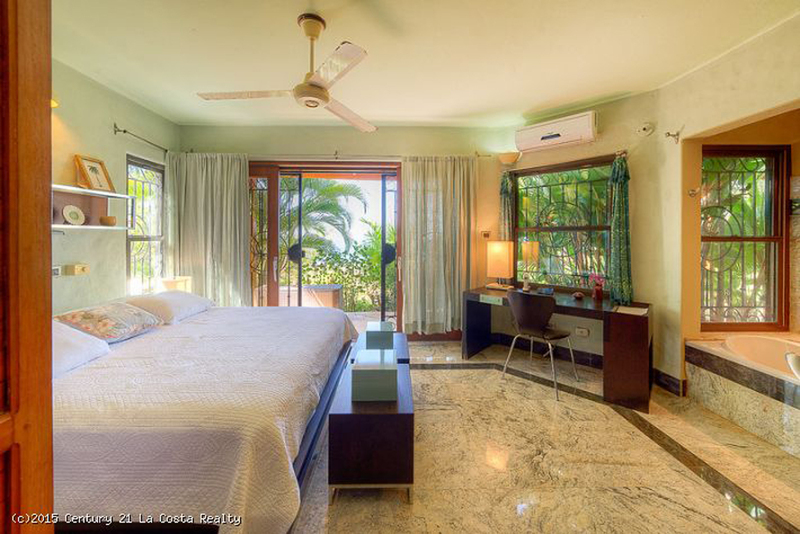 Villa Clara Vista comes fully furnished and turnkey. 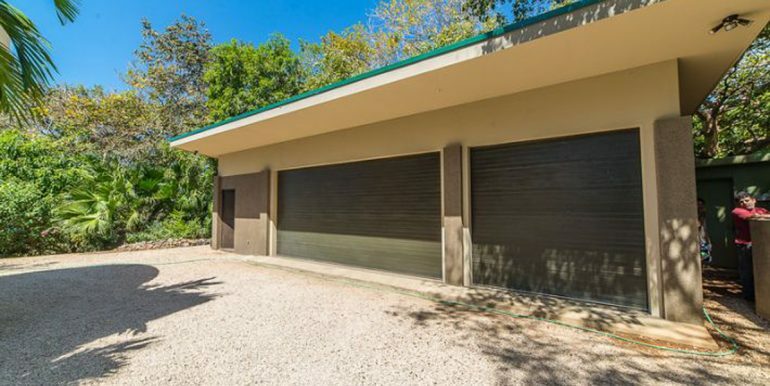 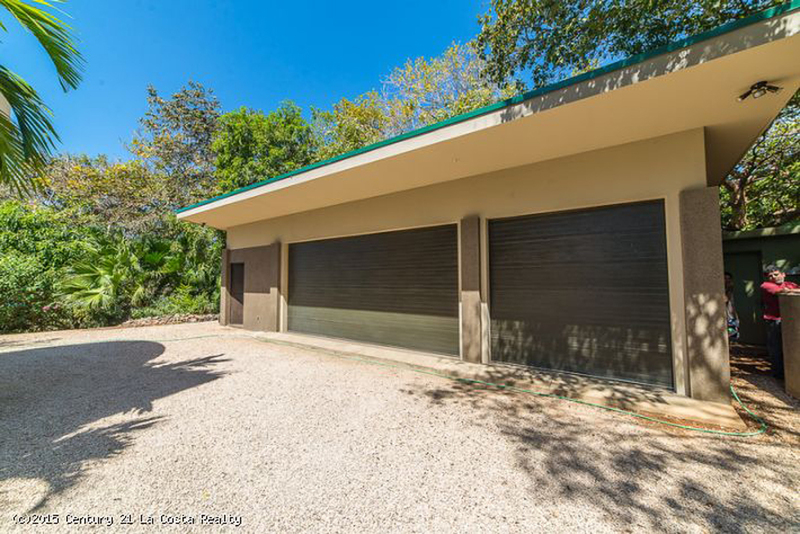 The three car garage is perfect for storage for cars, surfboards, quads and other toys and was built with a foundation prepared to add a second floor which would be ideal for an extra apartment, caretaker house or home office. 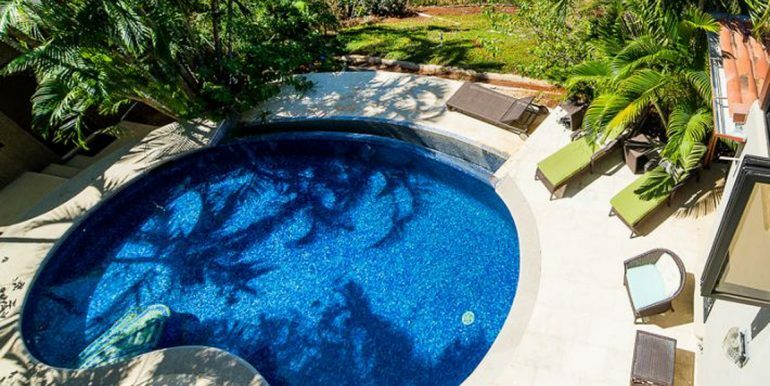 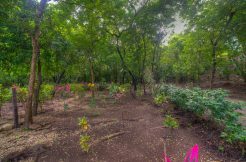 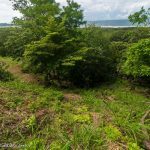 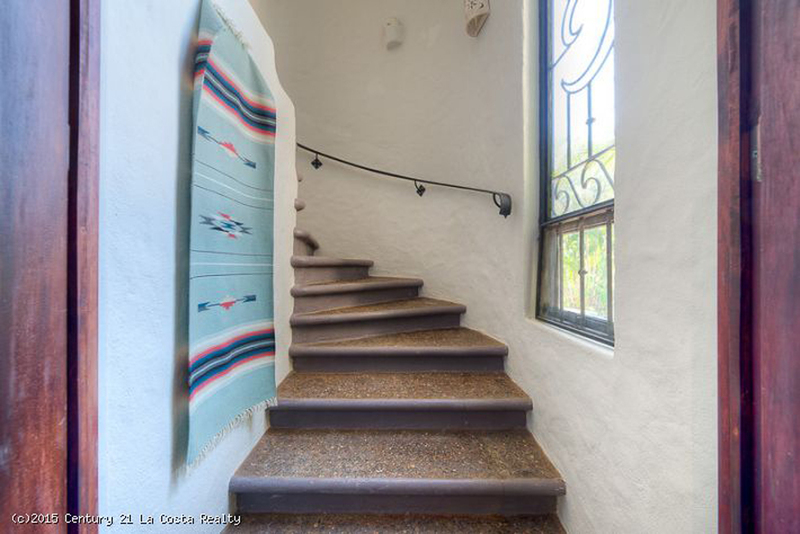 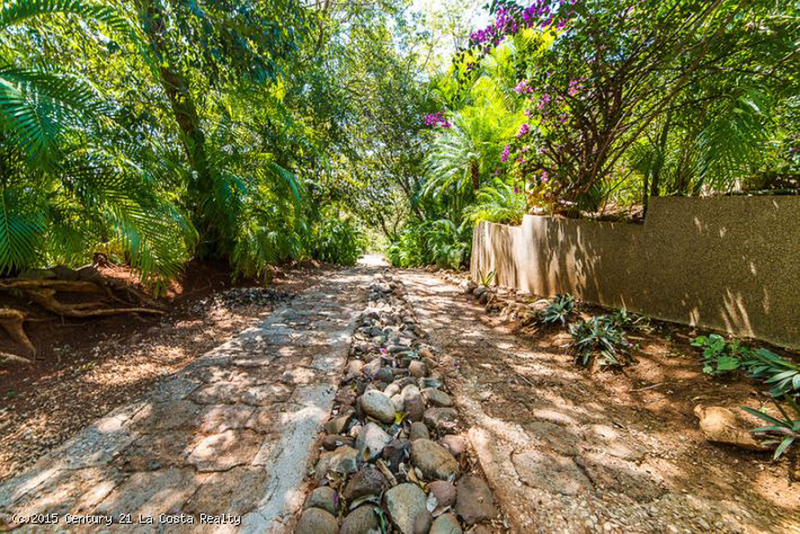 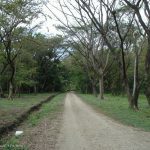 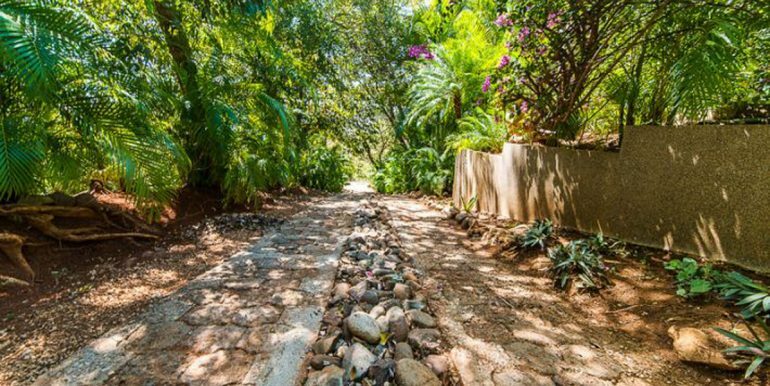 This property also comes with its own private well and water treatment system in addition to the public water system.